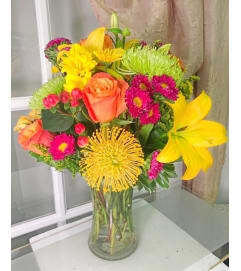 There is just something about these sweet hues that will leave a lasting impression on its recipient. 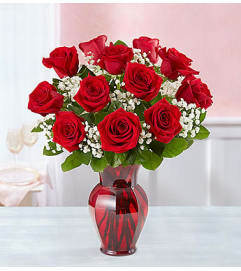 Our favorite shades of red, hot pink and pale pink roses are placed in a vivid red glass vase to make for a beautiful arrangement that is perfect for saying, "Be mine always and forever", or "Our love is a treasure ." 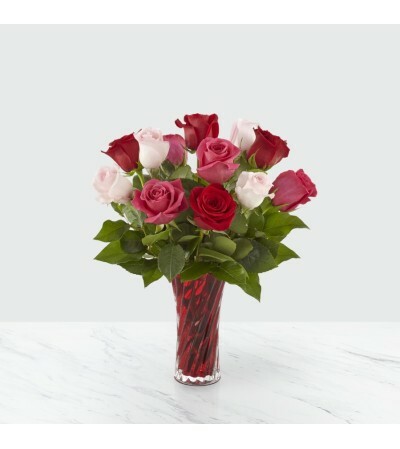 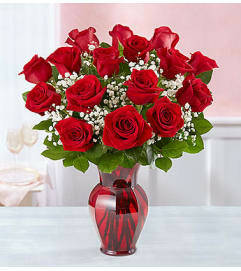 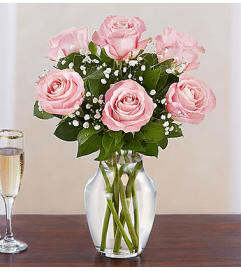 Give this bouquet to someone you hold dear for a Valentine's Day gift that they will never forget.